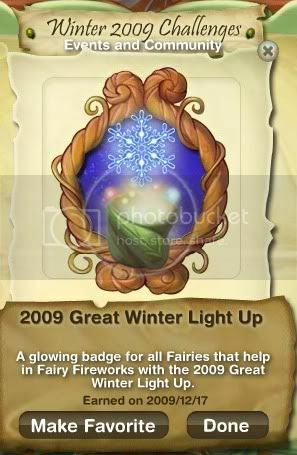 This Pixie Posting talks about playing Fairy Fireworks 8 times before 12/20/09, to earn a new Badge (pic below). A new Ice Rink in Snowcap Glade, and being able to hear the sounds of the Fairies working in the 3 snowy Meadows (it's kinda cute, turn up your volume to hear). Also, don't forget, you only have this weekend left to earn your Autumn 2009 Challenge badges! 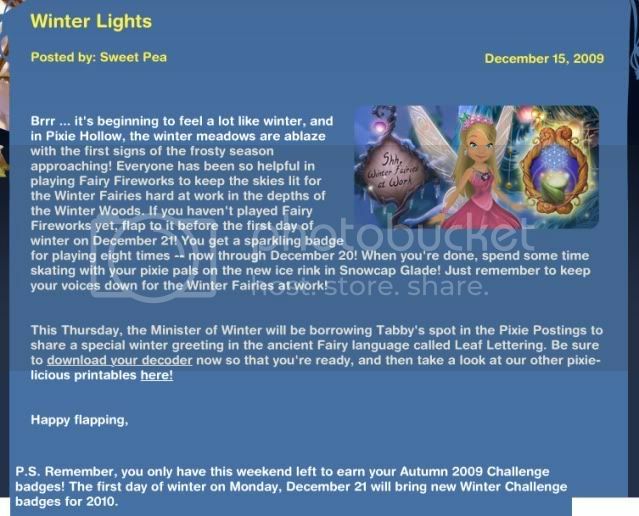 The first day of winter on Monday, December 21 will bring new Winter Challenge badges for 2010.